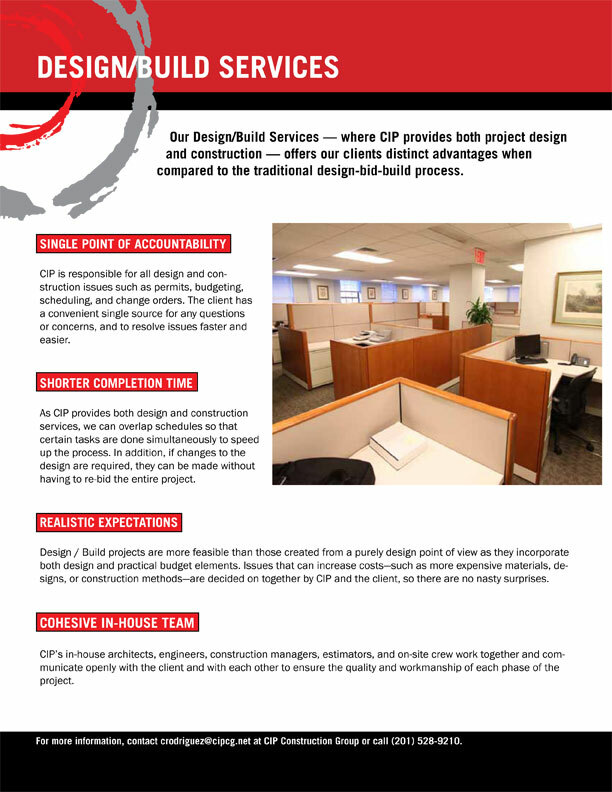 We used short text blocks, bright red subheads, brief introductory text and colorful project photos to describe each of the firm’s services. We also included two Sell Sheets that described featured projects including Tiffany’s, Calvin Klein, Prospect Park YMCA and the Time Warner Center at Columbus Circle. Want to see more collateral examples?